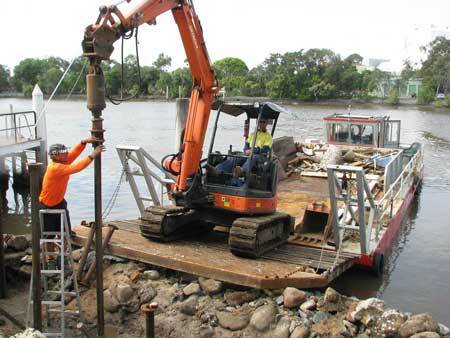 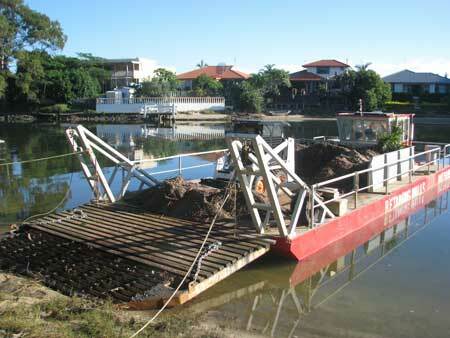 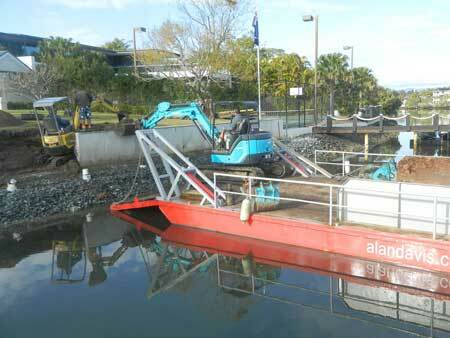 We can assist with barge hire anywhere on the Gold Coast waterways. 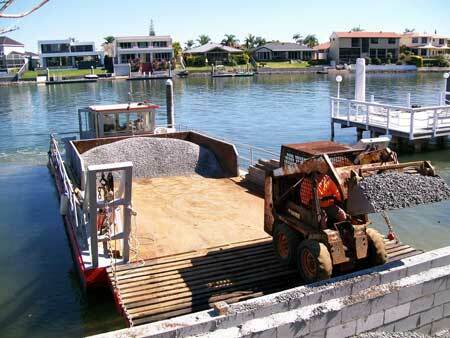 When working on the water, Alan uses his specially built barge “Charlotte” particularly when working at sites with limited access. 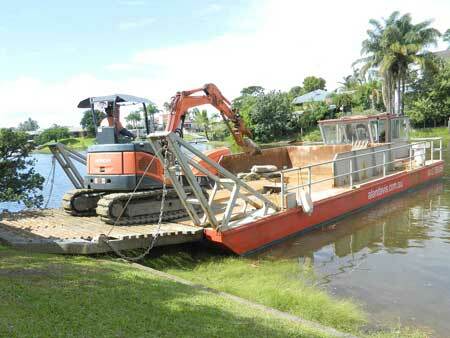 It is powered by twin GM 3 cylinder super charged diesel engines and can carry 20 tonnes of payload whether it be equipment such as excavator and bobcat or to deliver raw materials to the site including concrete, rocks, blocks or gravel. 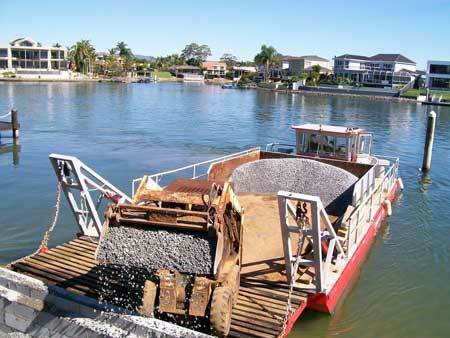 “Charlotte” is capable of many types of work and is very manoeuvrable for river and canal works. 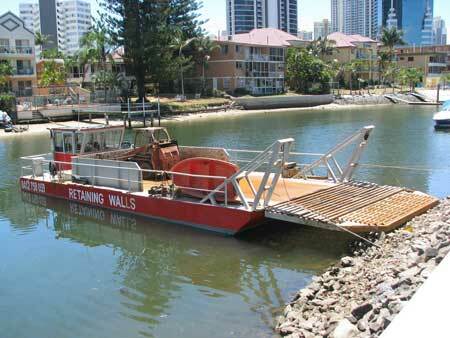 and is available for daily hire in all canal and riverfront locations on the Gold Coast.